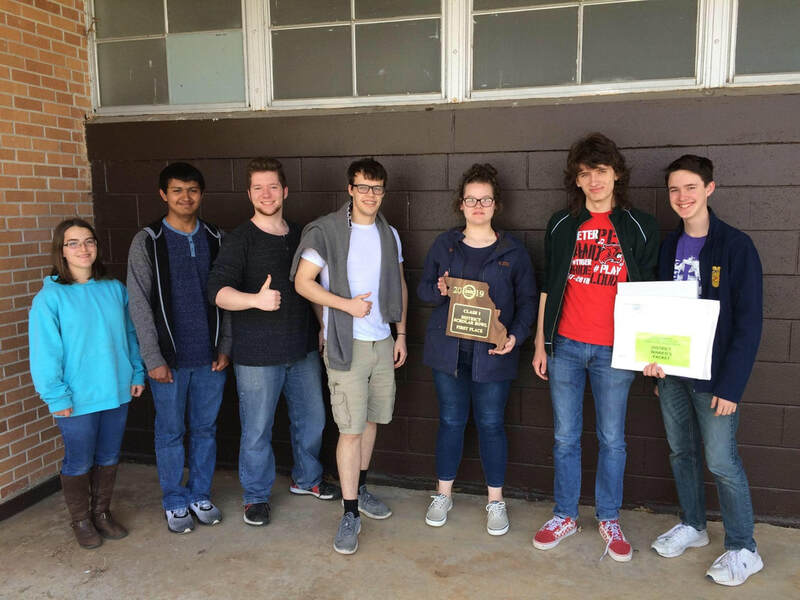 The Exeter School varsity academic team won first place in District tournament on April 6. The team is pictured above, from left to right: Aubrie Graham, Michael Ortiz, Jordan Eagan, Andrew Blake, Emalee Davis, Jarrett Brattin and Lane Willis. The Exeter Academic Team is coached by Mr. Michael Pisanti.